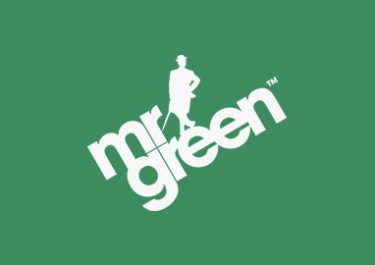 Mr. Green – Win a Weekend Getaway! if you win today’s raffle from the Christmas 2016 Calendar promotion at Mr. Green as the winner will be walking away with a Travel Voucher worth €500. A further seven runner-up players will be happy to bag a cash prize, worth up to €250. Taking part couldn’t be easier, simply play 20 rounds on three slots in consecutive order to secure your ticket to the prize draw that will be held on 30th December 2016. Mr. Green has most definitely the longest running Christmas Calendar in 2016. Starting on 17th November 2016 it will continue until 8th January 2017. That is a whopping 53 days filled with €350,000 worth of promotions such as Free Spins, Raffles, Cash Drops, Tournaments, exclusive Holiday Vouchers, tons of iPhone 7’s and other gadgets. A haven for rewards, competition and gift chasers. 29th – 31st 2016: Mr. Green – Win a Weekend Getaway! Get ready for a holiday when you take part today in the prize draw for a €500 Travel Voucher and 7 cash prizes ranging from €75 – €250. Simply spin 20 times in consecutive order on Aloha! Cluster Pays, The Wild Chase and Mr. Green’s Grand Tour. Minimum bet is €0.20 for all three slots. The winners will be randomly drawn on 30th December 2016 and accounts credited within 72 hours. A 70% cash alternative is available for the first prize. 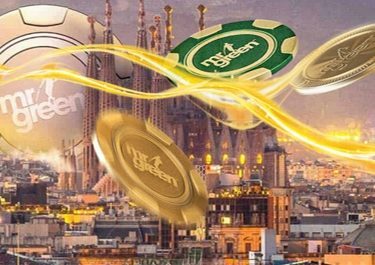 Launched in 2008 Mr. Green quickly established itself as a trusted gaming hangout for Casino, LIVE Casino and Sportsbook enthusiasts. 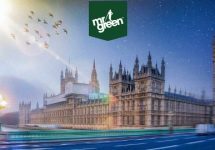 The Casino is operated by Mr. Green Ltd., Malta under MGA Malta and UK licenses. Games are available on desktop, mobile and tablet and from a huge variety of suppliers like Netent, Microgaming, Betsoft, Elk Studios, Genesis Gaming, Merkur, Nyx Interactive, Play’n GO, IGT, NextGen Gaming, Leander Games, Odobo, Quickspin, Yggdrasil Gaming, Playtech, Playson, Thunderkick and WMS. The LIVE Casino tables are provided by Netent and Evolution Gaming. A good choice of currencies and payment options such as credit / debit cards, instant banking, Entropay, Neteller, Skrill, Paysafe Card and Bank Transfer ensure fast and secure deposits and withdrawals. The website is available in 8 languages and customer support is provided 24/7 via Email, Live Chat and Phone.